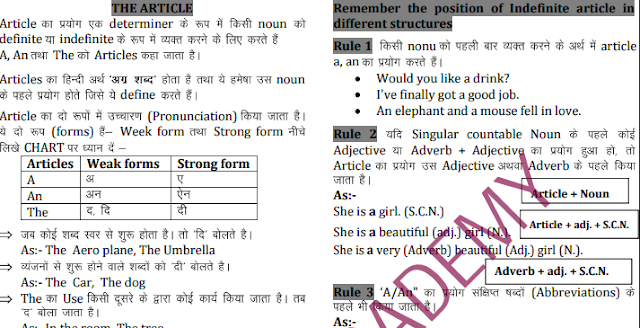 Dear Aspirants, Today we are sharing e-pdf of English Grammar Hindi Notes on Articles (A, An, The). This is very useful for upcoming examination like SSC CGL, CHSL, MTS, Stenographer & Other competitive exams. This PDF is Prepared & Compiled by Freedom Academy and credit goes to them. You may download English grammar pdf from the link provided given below.